Morgan Spurlock, the documentarian who famously ate an inordinate amount of fast food to prove that it was, in fact, bad for you, is bringing his mustachioed brand of filmmaking into the boudoir of none other than Paul Rudd, who will figure as the handsomest mug in a new documentary about the shadowy world of male grooming habits. Mansome, which is scheduled to premiere at the 2012 Tribeca Film Festival on April 21 and then in a megalopolis near you on May 18, purports to investigate the grooming habits of the American dude with wit, insight, probably some gross shaving stuff, and commentary from Will Arnett, Jason Bateman, Zach Galifinakis, Adam Carolla, Judd Apatow, and sundry experts on men's grooming. 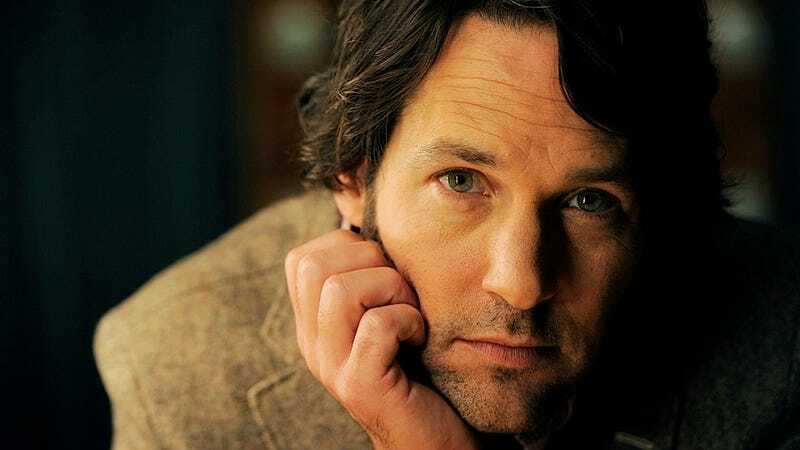 Oh, and Paul Rudd features prominently because his picture pops up with pretty much every press release morsel about this movie. What's draggin' on the floor is Kanye's reputation as a man with no empathy for animals or human beings. He's a great musician but doesn't seem to have the fashion sense to design anything more than caveman costumes. We keep hoping that one day he'll find his heart and join evolved style icons-including Russell Simmons, Pink and Natalie Portman-who have dropped animal skins. Vanessa Williams, who I most remember from the Pocahontas soundtrack and The Odyssey teleplay, has written a new memoir called You Don't Know, in which she reveals that she was molested as a child by the 18-year-old daughter of visiting family friends. [E! ].